Your presence and talk were so inspirational and uplifting. We are extremely fortunate to have you as an Advisory Board member and friend of the School of Nursing. Please know how personally appreciative I am of you and the gift you have given to the School. Please stay closely involved with us as we grow and move forward. 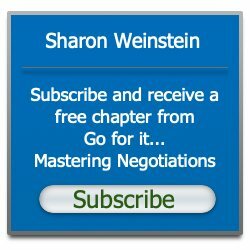 I have had the pleasure to work with Sharon Weinstein on several occasions in a number of groups. In every instance I have found her to be a consummate professional, a scientist with impeccable credentials and a true business visionary. Anyone who is exposed to this woman’s boundless energy and evident humanity will come out the better for it. Sharon is and always will be a selfless enabler of excellence in health care! I stand in awe of her wit and skills. Sharon has the extremely rare ability to balance a health and wellness mindset in both the art and science of healing principle/practices. This valuable combination is delivered in her daily life with a compassionate understanding of the human condition. As a journalist, it has been my privilege on several occasions to interview Sharon and attend corporate events as her guest. Sharing her life’s work, vision for the future, and Alphay story (5 Elements of Health) with my readers was a joy. Sharon’s passions for combining the best of East and West in her work, along with standards of success through integrity, are brilliant reflections of her dedication as a health care professional, who conveys from her heart a global perspective on providing integrative processes that result in holistic well-being. Sharon is a tremendous speaker that can convey her message artfully and with conviction. I have heard her speak on a number of occasions and take something away from every presentation. Don’t miss the opportunity to hear her speak – she has a true gift. Sharon is brilliant, talented, a solid communicator,trainer and has a well rounded business knowledge. She is a leader, a team player, and is always on top of her game. I only recommend professionals that perform above and beyond the call of duty. I have lectured internationally with Sharon; she has the required integrity for me to work with and she is a valued associate. If Sharon is interested in working with your organization, or you personally, you have a great team player whether she is leading or supporting. Sharon has a work ethic that is hard to keep up with and with humor, she should be cloned. Attend her education programs; they are applicable to all professionals and people interested in real health education with simple solutions. It is a pleasure to recommend Sharon.